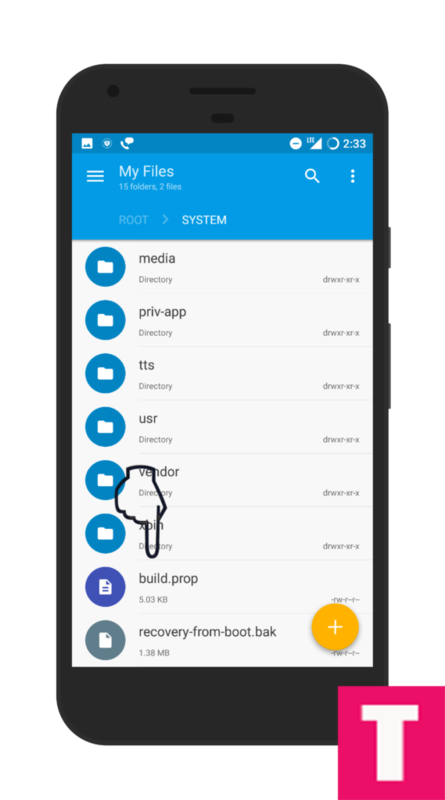 1 How To Edit Build.Prop Using Solid File Explorer? Updated: 2019 January – Build.prop tweaks can turn your Android smartphone from smart to extraordinary. 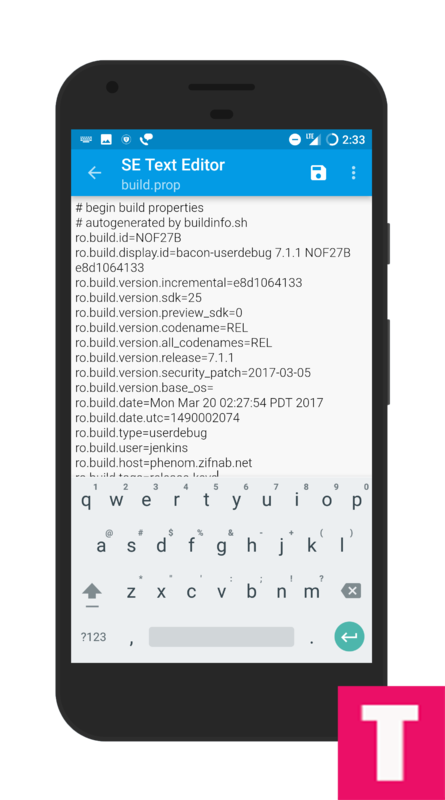 Build.prop is one of the most important files in Android and it contains multiple parameters that dictate the operations of your device. It lets you make your smartphone realise its full potential by changing several internal features that you cannot do from any third-party app.So here is our list of Top 15 Best Android Build.Prop Tweaks You Must Try In 2019. 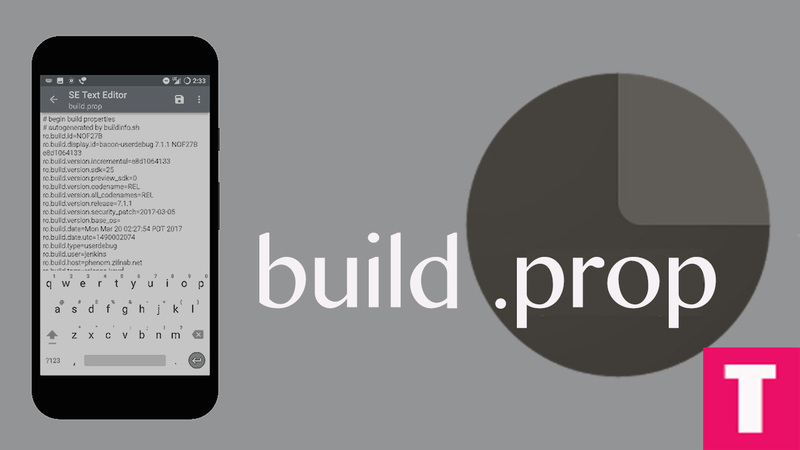 The following 15 best build.prop tweaks are compatible with Android Jellybean and above. 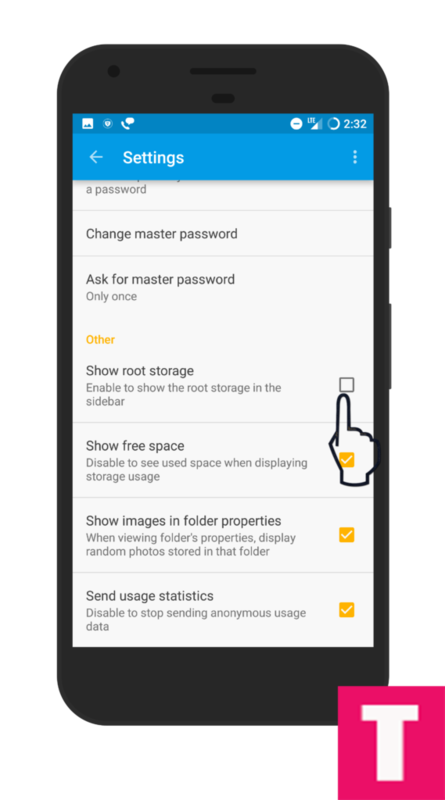 Make sure your Android device is rooted for the customisation to take place. 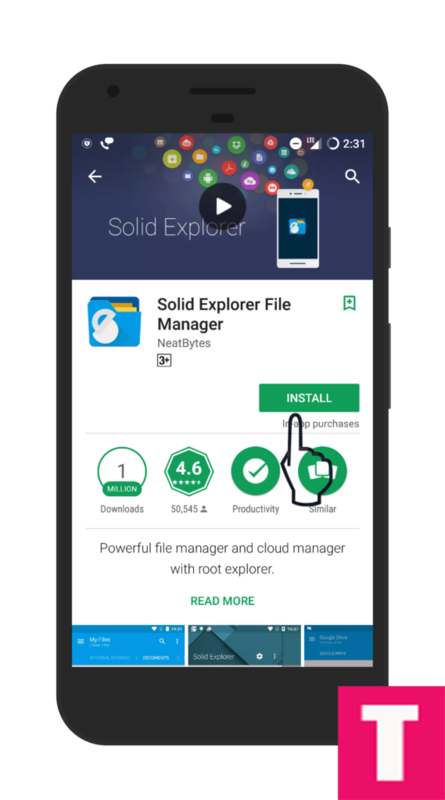 Download the app Root Explorer or Solid Explorer or ES File Explorer as you would need its text editor to make the tweaks. How To Edit Build.Prop Using Solid File Explorer? 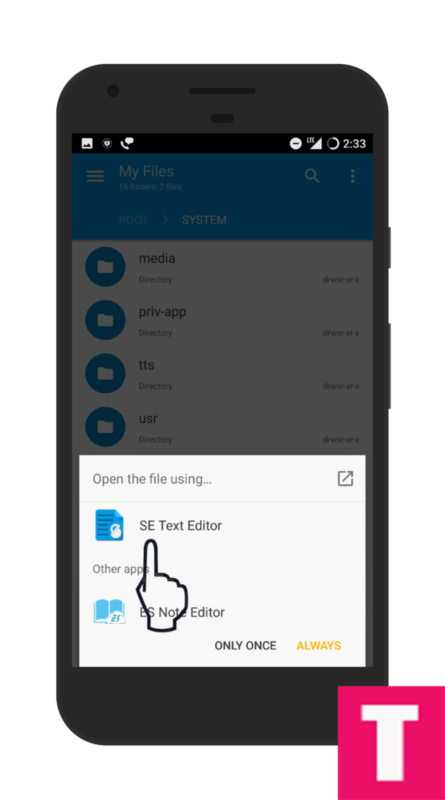 Step 4.Now click on root storage and scroll down to System folder. Step 6.Now Press on the build.prop long and select open in ‘SE text editor’ option from the menu options. Step 7.After making the tweaks in the text editor, you have to save and reboot your phone to see the changes. This tweak is quite handy, and the feature was available in the earlier versions of Android. It has been disabled in the latest version, but there is a provision in the build.prop file to override it. Add the following piece to code at the end of the build.prop file. Even if you have a Launcher app installed, it will work just fine. Every Android device by default uses the carrier(service provider) DNS for providing internet connectivity. But Google provides free DNS for mobile users. You can use them and boost your internet connectivity and have a smoothly surfing. Add the following line of code at the end of the build.prop. 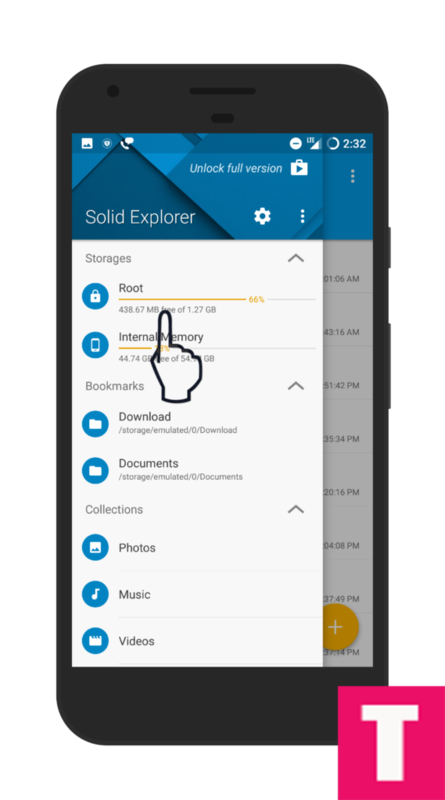 If you generally access a long list of files and folders on your smartphone, it would be great for you if you can increase the fluidity of the scrolling so that reaching a file located in the lower half of the list does not take ages. If your smartphone takes too much time to render photos like when you check out your friends’ display picture on WhatsApp, you need to boost the speed of rendering with the following. With the following code, you can take panorama images at a higher resolution. This tweak helps in better RAM management and overcoming lagging effect. This is one of the most sought after tweaks, and it is great to have navigation buttons on your screen to make your old smartphones modern. In some smartphones, the multi-touch feature is disabled by default. You can enable and have an awesome user experience. This is a life-saver for most of the smartphone users who watch videos on their smartphones. Android shows a lot of annoying error messages like this app has stopped, that app has crashed and likewise. Get rid of them once and for all. This may not work for all service providers, but you should definitely give it a try. Any Android device scans for Wi-Fi connectivity automatically after every 15 seconds. It can affect your performance and hence, you can increase the time period with the help of the following. If your smartphone bores you while restarting from switch off mode, you need to enhance the booting speed with the following. When a person calls you, your smartphone waits a few seconds to verify the connection before start ringing. You can avoid the delay with the following code. Sometimes smartphones show black screen once a call ends. If you have that issue, paste the following code at the bottom of the build.prop and watch the magic. That’s it for today and hope you found it useful. Do let us know if any of the above does not work on your smartphone.